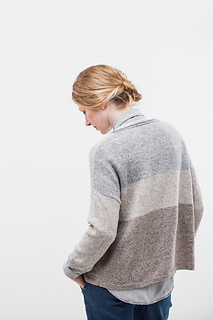 Combine your favorite shades of Loft in an easy smock to dress up or down. 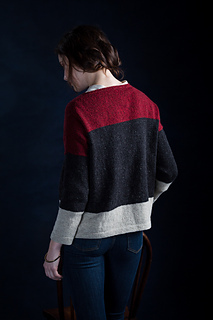 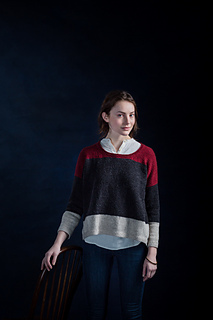 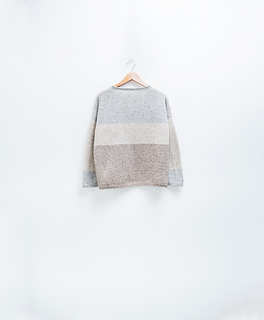 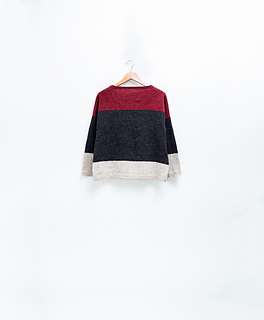 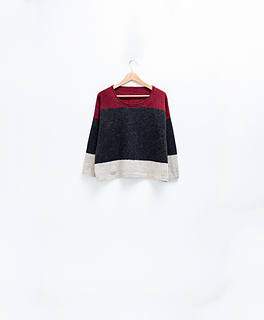 Agnes is a pattern to knit more than once: two different color-blocking schemes are given, with varied proportions and an option for changing the sequence on the back, and the sleeves can be knit to slender or classic width. 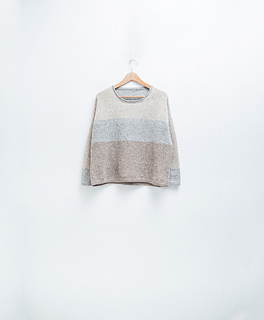 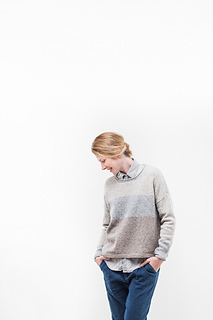 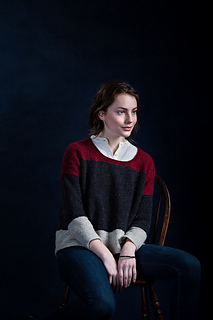 With gentle empire waist shaping and a gracious neckline, this oversize pullover is a garment for simple comfort.